We are engaged in offering Best Grade epitero 50mg. 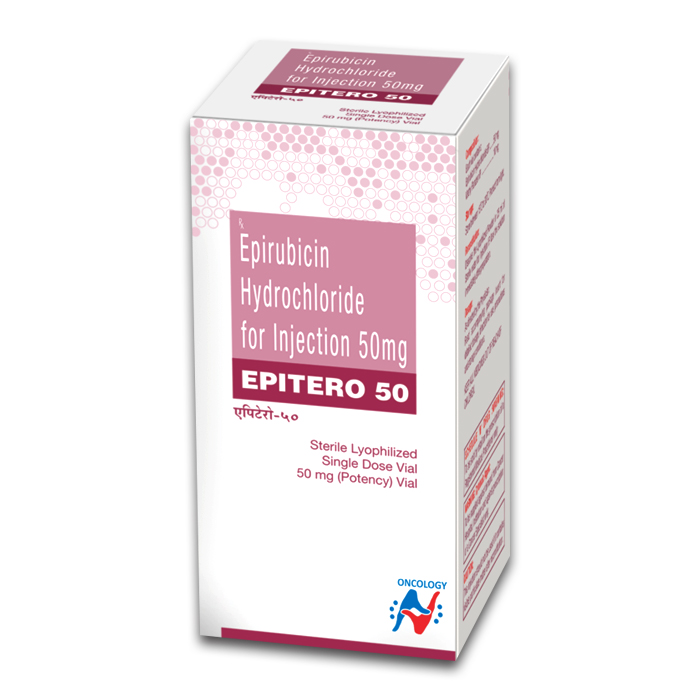 We have marked a distinct position in this domain by providing an excellent grade epitero 50mg. This medication is an anthracycline, prescribed for certain types of breast cancer. It works by killing cancer cells. Epirubicin harms cancer cells causing their death. The recommended starting dose is 100 to 120 mgm². It comes as a solution for injection to be administered by a healthcare provider into the vein. Sometimes drugs are not safe when you take them with certain other drugs and food. Taking them together can cause bad side effects. Be sure to talk to your doctor about all the drugs you take.